Good access (underpass) & visibility from North & South bound IH35. 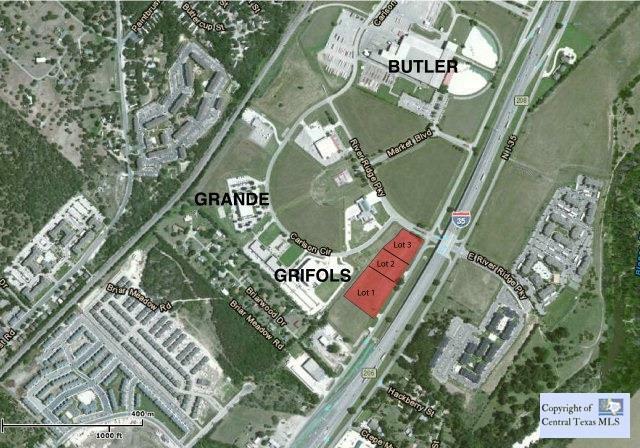 Major bio-tech company -- Grifols, Inc. -- located on a neighboring parcel (within 100'). Other major corporations, such as Grande Communications, are also located in adjoining Business Park. Can be combined with Lot 3 to arrive at a 2.5 Acre tract.